In this world, there are those who are privileged and those who are less fortunate. Let’s face the fact that America’s history illustrates its structure of social inequalities. America is full of Americans who have and those who have-not. 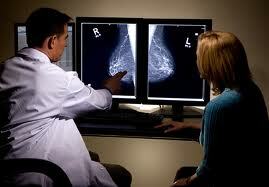 For example, the way in which women are screened and treated for breast cancer is no exception to the rule. Angelina Jolie had the privilege of affording health care services that most women in this country are not afforded. She had the financial resources to undergo genetic testing, which identified the mutated breast cancer genetic marker BRCA1. Jolie said that her doctors estimated she had a 50% risk of getting ovarian cancer but an 87% risk of breast cancer. Because the disease killed her mother at the age 56 and her aunt Debbie Martin at the age of 67, Angelina Jolie revealed she had a prophylactic double mastectomy to reduce her risk of developing breast cancer. Now, let us look at the average women in America. Most women are not afforded healthcare services such as genetic testing because they lack financial resources, despite the fact that this test was introduced in the 1990s and is a standard test for oncology. The cost for a genealogy test is $3,100 and is recommended for women with a family history of the disease, but the average women in America cannot afford to pay over $3,000 for a test. This test has the ability to save about $100,000 in treatment costs. However, the financial burden of this test prevents low-income families and women living in poverty the same opportunity to save their life, which was afforded to Angelina Jolie. As a community, denying women access to preventative services, such as genetic testing, because of their inability to pay lacks compassion and threatens the social makeup of society. It is an expected practice in this country that all children receive immunization shots and other preventative tests and measures in their early years because we know it can decrease the likelihood of disease or death in childhood. Regardless of income these resources are almost always made available to all parents. As a society, if we do not make babies choose life or death, why are adult women an exception to the rule? Especially, since the medical and scientific world proved that a positive result on BRCA 1 or BRCA 2 means that a woman has an 85 percent chance of developing breast cancer, and 55 percent chance of developing ovarian cancer. The greatest barrier for this is the belief and policies of insurance companies. Insurance companies do not believe they should be required to pay for genealogy test because this genetic marker does not guarantee that the patient will develop breast cancer. Shouldn’t health insurance companies be required to secure genealogy analysis just to reduce the health impact of breast cancer among women? What action can you take to ensure that women in this country are afforded the same treatment and test options that Angelina received? I urge you to take a stand and advocate for women across this country because the have-nots of this world are forgotten. The bottom line is that statistics don’t lie and in 2013, over 200,000 women in the US will be diagnosed with breast cancer. If you do nothing, your mother, aunt, daughter, or a friend may be one of the 39,620 that die every year from breast cancer. I challenge you to become a solution to the this epidemic. I challenge you to become an advocate to help decrease the number of lives lost to this disease because of someone’s inability to pay. Angelia has worked in the medical field for the past 12 years and earned a bachelor’s degree from Baptist College of Health Sciences with a concentration in Radiation Therapy and a Radiological Applied Science degree from Southwest Tennessee Community College. In December of 2013, she will complete a Master of Public Health degree from Benedictine University. The program is rigorous and allows her to draw on her knowledge, and skills from a variety of disciplines to help define, critically assess, and resolve a broad range of public health problems, which she has faced during her professional career. She is a mother of three and a wife of 13 years. She works full-time as a Radiation Therapist. She loves her career because it allows her to work with the public and influence patient’s by helping to improve their quality of life. Cancer is a condition within the body that affects the body, mind, and spirit of the person who is invaded with this parasite. When she is not working or completing school assignments, she enjoys being at home with her family, watching movies, basketball, and football. During her time as an ISC intern with the SISGI Group Angelia will research global health, social change and poverty programs. I think that proving the need for the genealogy analysis will result in a major reduction of women being diagnosed with breast and ovarian cancer. This will be used as a preventative measure as self- breast exams. If the genealogy exam proves to be successful this will eliminate diagnosis and extra money that will be spent on therapeutic treatments as well as other regimens. I agree, Shelia. Genealogy test could be an important measure to cure breast cancer, as well as, save medical resources. Thanks, for leaving your footprint on this topic, which kill over 39,000 lives annually. I wanted to create a plateform to raise awareness that this disease could possibly prevented. Yes, part of my motivation came from my family history. I agree that women in low income families should get some help to prevent this disease. I believe if my grandmother who died from breast cancer could have afforded the genetic testing she might be still alive today. It seems that it is imperative that government can make an agreement with healthcare providers for women who have had relatives die from breast cancer. I agree, hopefully with increasing awareness on the important of genetic testing to prevent breast cancer. The US government and health insurance companies might consider making this test accessible for more women. Thanks, for reading and helping to raise awareness. This was a very informat8ve article. I am a survivor of breast cancer and had I known about the test I would have tried to get it just being proactive with my health. It’s a shame that all women are not afforded the opportunity to make this decision, regardless of income or insurance, to get this testing done as a general check up. It seems as though the insurance companies would rally around this test because it would save them grand theft money in the long run. Thanks Angelia for going forth with this and providing us with this important information. You are doing “GOOD”!!!!!! I just wanted to say, thank you. I thank you, for reading my article and become apart of social change in regards to women’s health. I think that this blog is very educational to women like myself who doesn’t know alot about breast cancer. Low-income families should have better insurance , so they can be tested and treated the same as any other. I agree, all women in this country should be afforded the same opportunity as Angelina. By reading this blog and pass it along to as many people that you know, you have taken the 1st step in increaseing awareness and became apart of social change. I respect your perspective, but please let me clarify mine. Let me start by staying you are right, Angelina paid for her procedures from earned income. When I stated, ” there are those who are privileged and those who are less fortunate. Let’s face the fact that America’s history illustrates its structure of social inequalities.” I was speaking of income brackets. Angelina is definitely in a financial league of her own, which makes it easier her to afford for these test without having to sale her car or missing monthly rent. I will stress that, if women were educated on procedural options, they could make wiser decision and use their limited financial resource rationally. I concur with everything you stated. Having money does make a significant difference in how you are treated in America. Our country needs to take a look at being more proactive rather than waiting until something happens to address the issue. 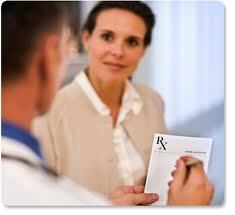 Health care in the U S needs to address the possibility of prevention rather than treating conditions. Thank you, for taken the time to read my article. I hope that is was informative. I feel that if we (as women) speak about out about our health will provide a platform to bring about social change. There has to be a form of subsidy on this genealogical test from the Government, as a kind of support given to these women who are low income earners, and the women who don’t have jobs. Even the average income earners would find it difficult to spend that amount of money on a genealogical test, not to talk of women who don’t have such financial resources to expend. Thank you, for reading my blog and providing the platform for rasing awareness on the subject of women’s health.